The spirited work 'Wurrpan (emu)' c1950s showcases Buranday’s skill with three-dimensional forms. 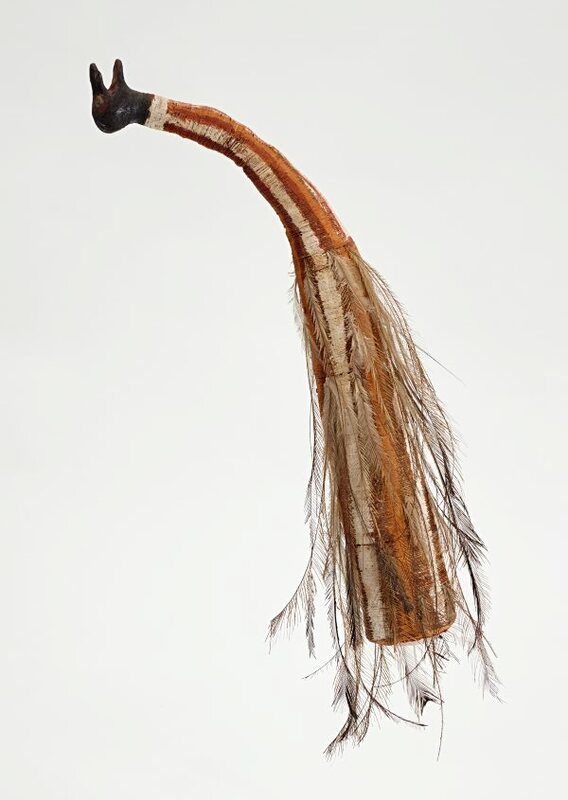 Constructed from paperbark bound with handmade string it eloquently captures the character of an emu and is held by the dancer personifying the emu within the Wurrpan ceremony. Binyinyuwuy danced with such a sculpture at a Wurrpan ceremony in Milingimbi in the 1960s, as recorded by Alan Fidock, with Dawidi his hunter.